AKRON — Drug investigators this week said they cut off another source of drugs flowing to Greater Akron — this one a pipeline of methamphetamine and cocaine from Texas. 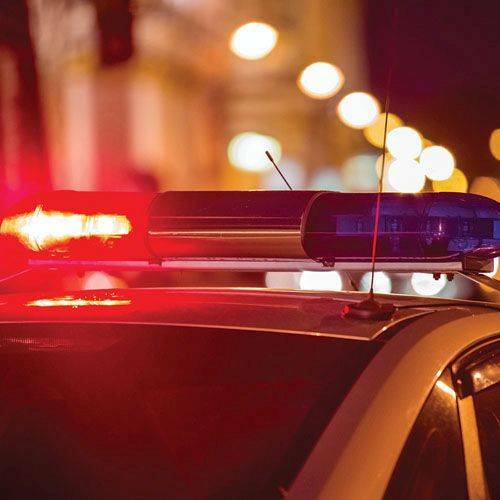 Eleven people — including seven from Akron — face federal charges following an investigation that lasted nearly three years and involved several federal and state agencies along with at least a dozen local law enforcement agencies, including Akron police. The indictments were announced this week as 35 residents sought emergency room help after overdosing on some form of drugs between Sept. 7 and Sept. 13, according to the latest report by Summit County Public Health. The number, along with the number of suspected overdose deaths, has ticked up in recent weeks. For much of 2018, officials have been cautiously optimistic Greater Akron may have been finding its way out of the opioid crisis after watching the number of overdoses here plummet to levels that had not been seen here since before mid-2016, when carfentanil first hit the area. Even as nearby Cuyahoga County struggled, there were weeks when the Summit County Medical Examiner’s Office handled no suspected drug overdose deaths at all. But the number of weekly overdoses treated in Summit County hospitals has risen from the teens and 20s into the low to mid-30s in recent weeks. And the medical examiner’s office is again fielding one or two suspected overdose cases a week, too. What’s prompting the increase is not entirely clear, but officials continue to warn that fentanyl and its potentially deadly chemical cousins are increasingly showing up in all street drugs like cocaine, meth and marijuana. The complicated investigation into the Texas to Akron drug supply appears to have started in January 2016, court records show. That’s about six months before people across Summit County first began collapsing and dying in cars, on sidewalks and in public restrooms from carfentanil overdoses, triggering panic and alarm. Court records show that Michael L. Weimer, 33, or Harold W. Weimer III, 36, both of Akron, sold both meth and coke to someone working as a law enforcement informant in Akron. Both men are indicted in the case and records don’t specify which Weimer is accused in this sale, but more than a half-dozen similar transactions follow. By November 2016 — when more than 200 people per month were overdosing in Summit County, down from twice that in July, August and September — investigators were listening in on phone calls among those ultimately indicted. And Robert Zornes Jr., 43, of Akron worries he’ll have to pull a loan on his truck if he can’t collect money from people who owe him, apparently for drugs, court records show. After months of listening in, investigators followed the source of Akron drugs to Texas. On Valentine’s Day of 2017, a man who has run a Houston auto service shop — William G. Steen, 55 — sold 2 kilograms of cocaine that went to Jonathan Johnson, 35, of Akron, and was distributed for others to sell in Akron, court records show. In addition to Steen, Johnson, Zornes and the Weimers, the others indicted for conspiracy to traffic drugs in the case include: Darren Ross, 46, of Louisiana; Gregory Moran, no age provided, of Texas; and Andre L. Brown, 47, Travonte Bell, 26, Sanada S. Griffin, 36, and Troy Whatley, 48, all from Akron.